The barbecue cleaning block consists of 100% environmentally friendly glass powder and removes crusted grease and dirt from the grid, the griddle and other BBQ accessories. It can be used on cast iron, steel and stainless steel surfaces. The block adopts the shape of the objects to be cleaned and thus also allows access to even small openings and difficult accessible areas. Simply rinse the abrasive block with a damp cloth or with running water. Caution: do not use on polished, chrome or plastic surfaces. 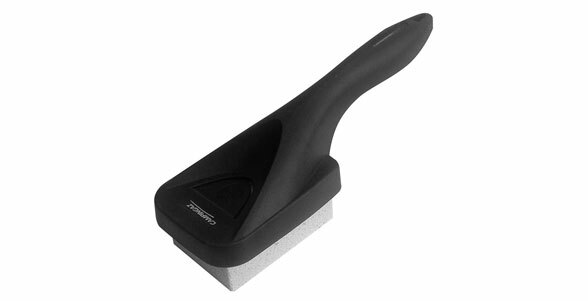 If you are unsure, we recommend testing the cleaning block on a small spot.